Extra soft on the inside, weathered for a vintage feel on the outside. If high-quality sweatwear is important to you, you’re probably already familiar with brushed loopback fabric. If not, here are the basics. 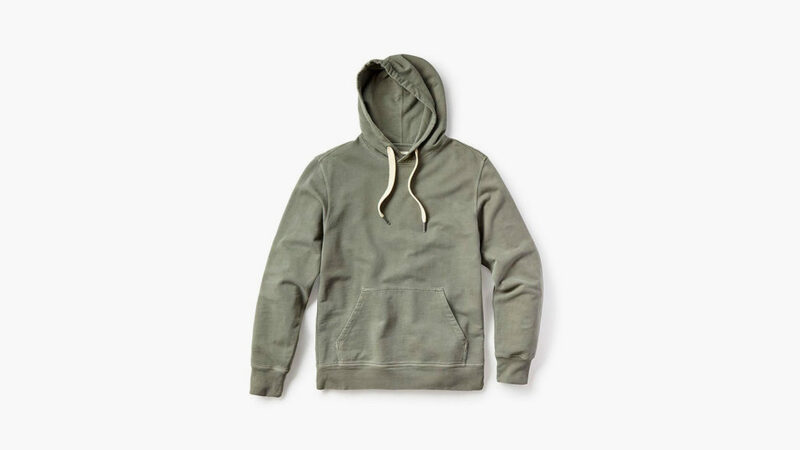 The tiny loops that give this generally cotton-based fabric its name cover the inside of any loopback apparel, lending it extra softness and coziness. The outside surface of brushed loopback fabric is not only smoother in texture but brushed during the manufacturing process for a weathered “vintage” appearance and feel. 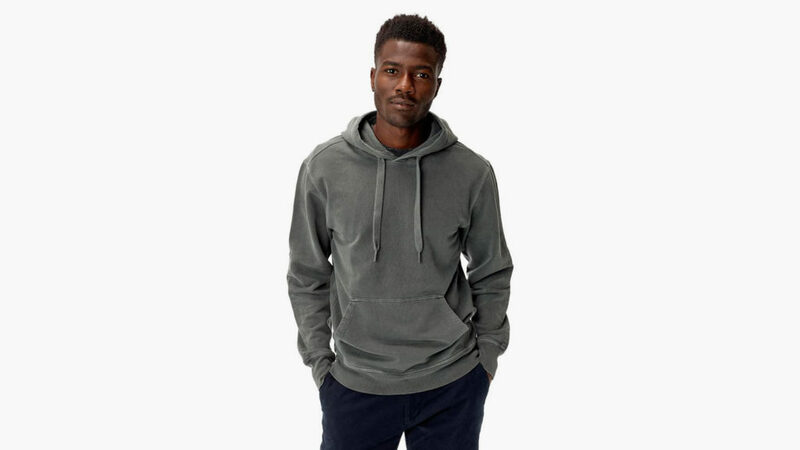 Composed of 100-percent cotton brushed French terry, the new Brushed Loopback Hooded Sweatshirt from Buck Mason epitomizes brushed loopback comfort and style. 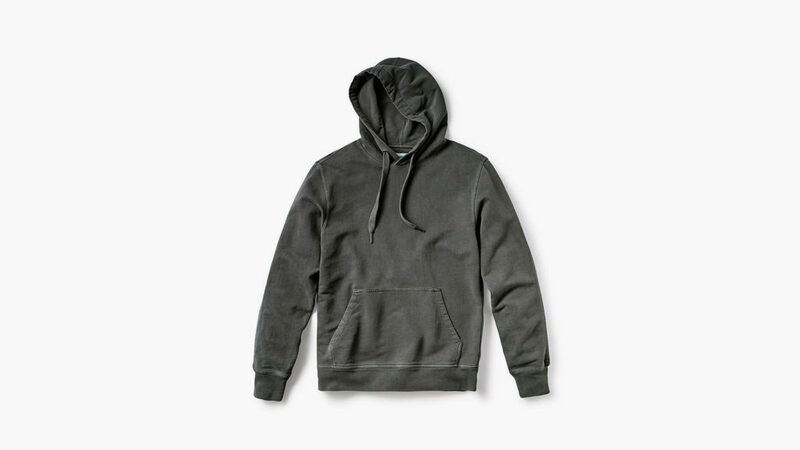 Inspired by the hooded sweatshirts worn in the boxing circuits of the 1950s and 1960s, this item features wide, sturdy drawstrings trimmed with metal and interior elbow patches for extra durability. 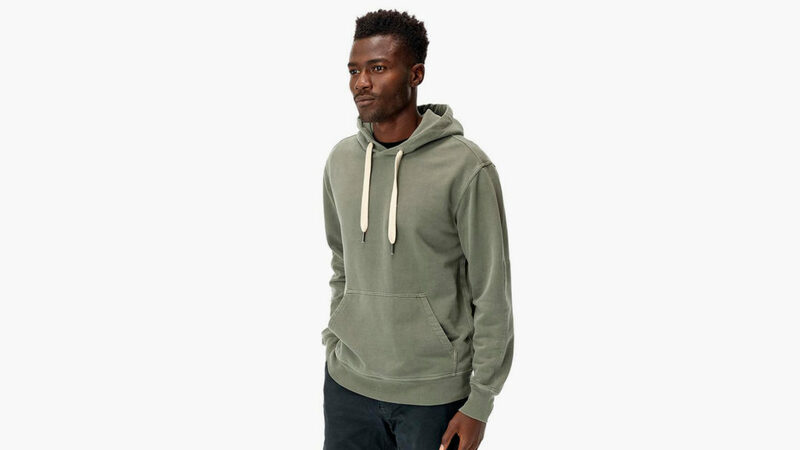 The Buck Mason Brushed Loopback Hooded Sweatshirt is available in three colors: basic black, faded black Venice wash, and light army green.